The Woolsey Fire exploded in size from Friday to Saturday. 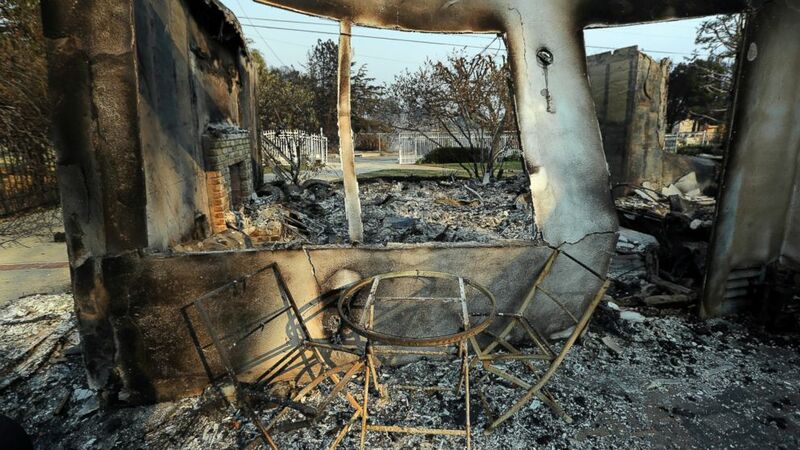 (AP) A table and chairs stand outside of one of at least 20 homes destroyed just on Windermere Drive in the Point Dume area of Malibu, Calif., Saturday, Nov. 10, 2018. Known as the Woolsey Fire, it has consumed thousands of acres and destroyed dozens of homes. (Ringo H.W. 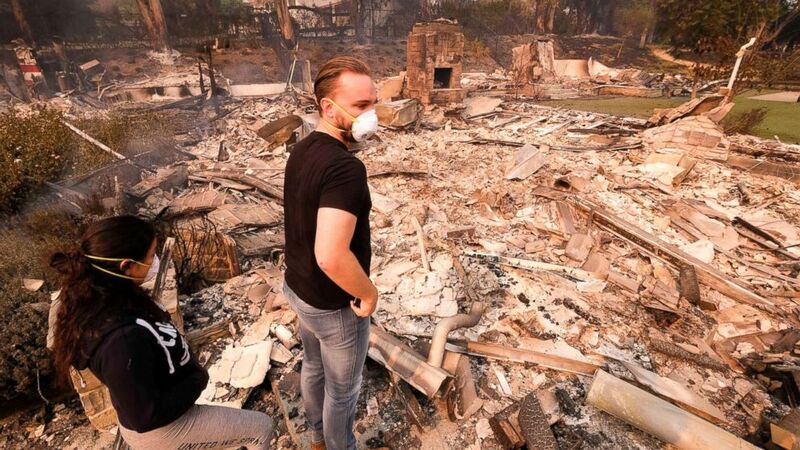 Chiu/AP) Alexander Tobolsky and his girlfriend Dina Arias return to his home where burned out by the fire in Malibu, Calif., Nov. 10, 2018. (Ringo H.W. 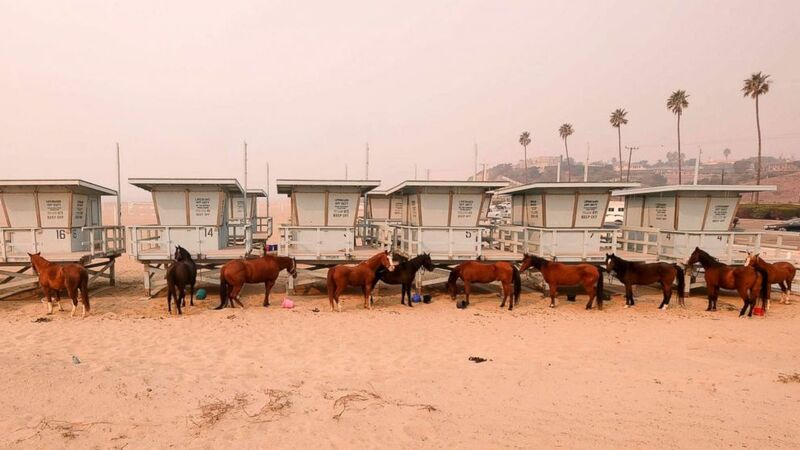 Chiu/AP) Horses are tied to lifeguard booths on the beach in Malibu, Calif., Nov. 10, 2018. Wildfires are burning in both Southern and Northern California. 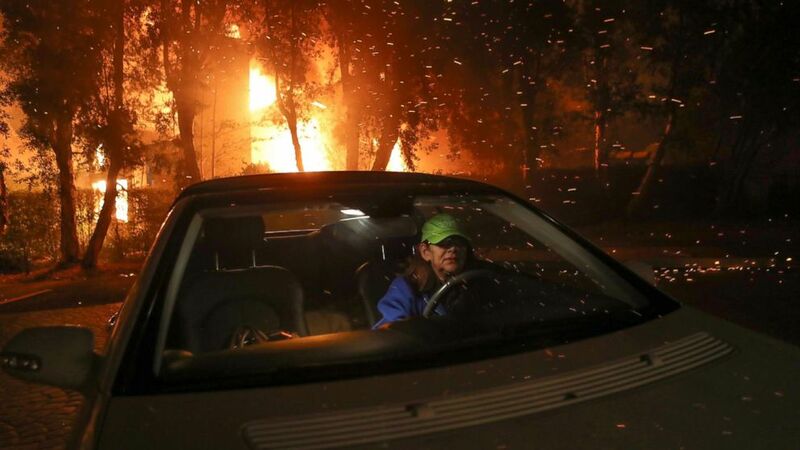 (Jay Calderon/The Desert Sun via USA Today Network) Tina Weeks jumps into her car to evacuate after her neighbors house became fully engulfed by the Woolsey Fire in Oak Park, Ca., in the early morning of Nov. 9, 2018. 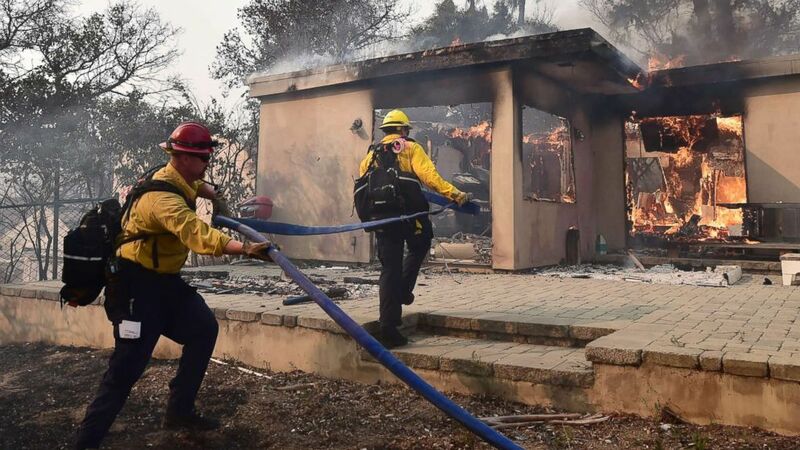 (Robyn Beck/AFP/Getty Images) Firefighters knock down flames in the Point Dume neighborhood of Malibu, Calif., on Nov. 10, 2018, after the Woolsey Fire tore through the neighborhood overnight. 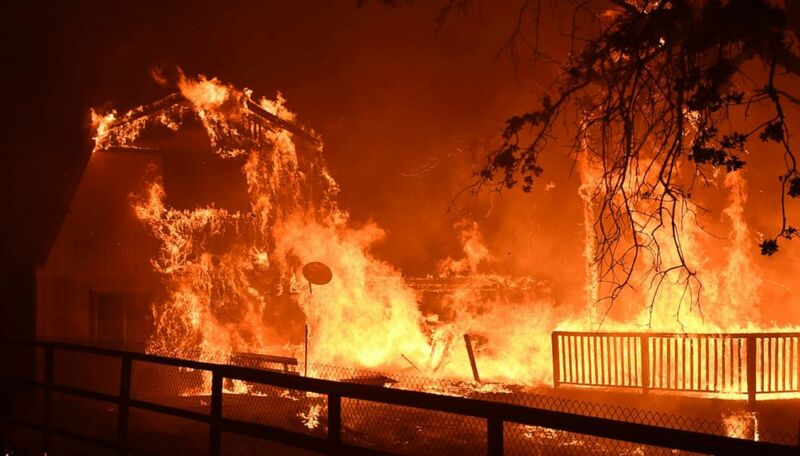 (Gene Blevins/Polaris) A home burns as overnight firefighters battle the Santa Rosa fire into the morning in Southern California, Nov. 9, 2018. 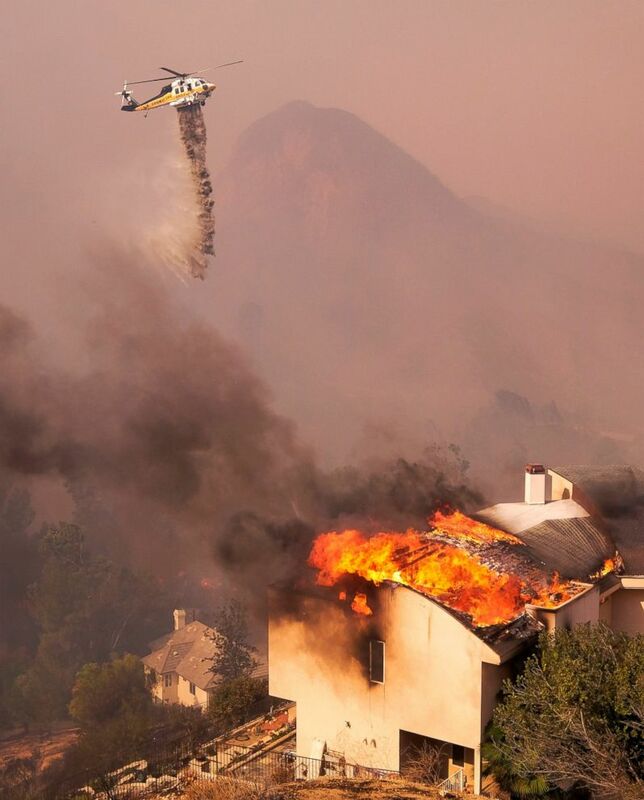 (AP) A helicopter drops water while a wildfire burns a home near Malibu Lake in Malibu, Calif., Friday, Nov. 9, 2018. 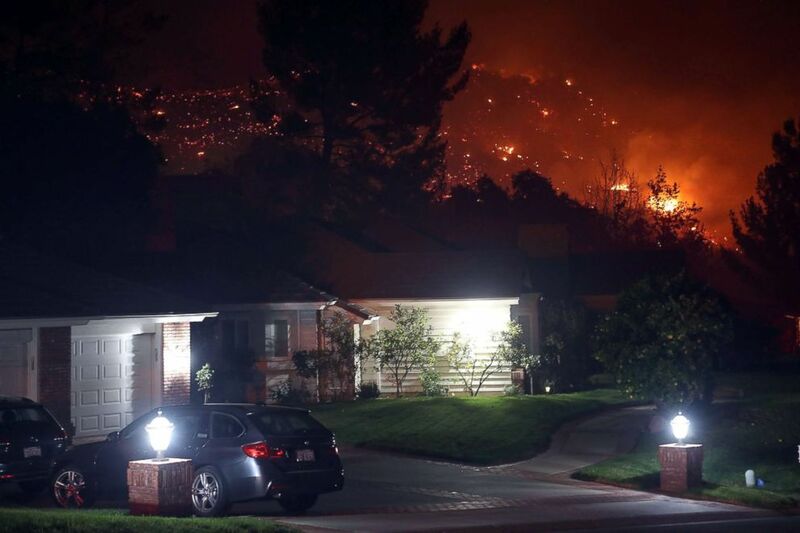 (Jay Calderon/The Desert Sun via USA Today Network) The Woolsey Fire burns near homes in Oak Park, Calif., Nov. 9, 2018. 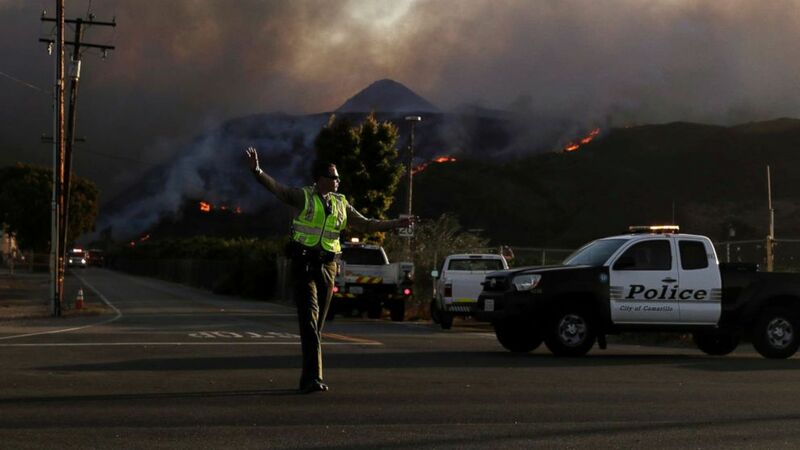 (Marcio Jose Sanchez/AP) A police officer mans a checkpoint in front of an advancing wildfire Thursday, Nov. 8, 2018, near Newbury Park, Calif.